Lee Cooper Cargo Shorts 36" Black is rated 4.5 out of 5 by 60. Rated 5 out of 5 by Brantastico from Shorty mcshorts! Have had several pairs of these,ideal for what I require ,only fault I can think of would like the leg shorter by an inch or so ! 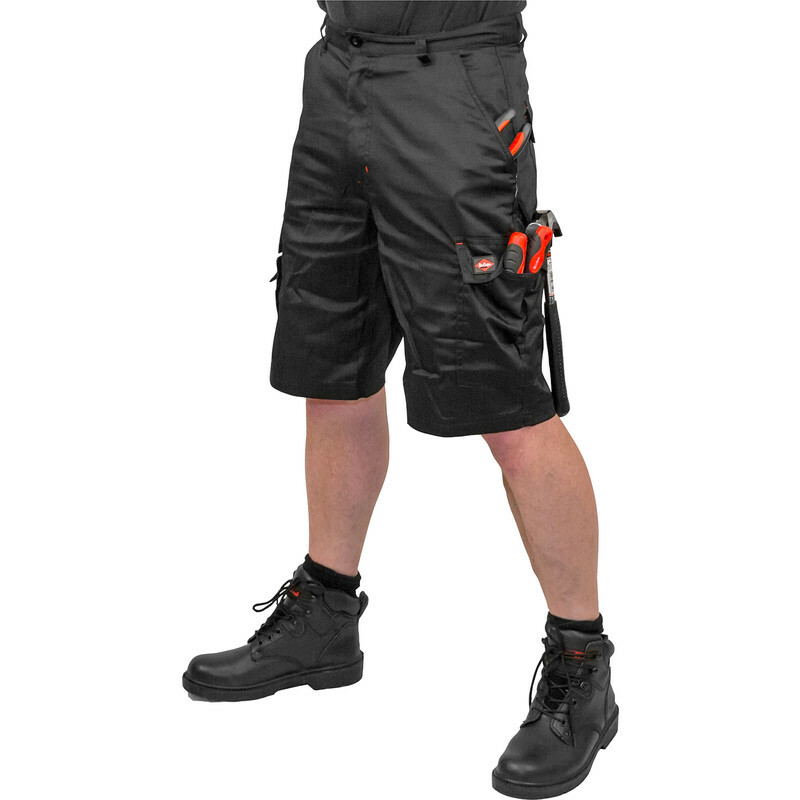 Rated 5 out of 5 by Dave72 from Great value I don't normally work in shorts but decided to do so during the recent hot weather. Rated 5 out of 5 by CEAR from Great shorts Bought for my son. He's very slim, so the shorts fitted him well. If you're wondering whether to get a size bigger than you usually buy, I'd say go bigger, as they're exactly the measurement they state and there's no spare space. Rated 5 out of 5 by Moshpit Martin from Just the job Good value & Good shorts, comfortable and plenty of pockets , I'll be getting some more. Rated 3 out of 5 by ShGr from Really baggy I ordered 2 pairs of these. They are really baggy and uncomfortable for work as I could catch them easily on machinery.